I am loving poke cake! 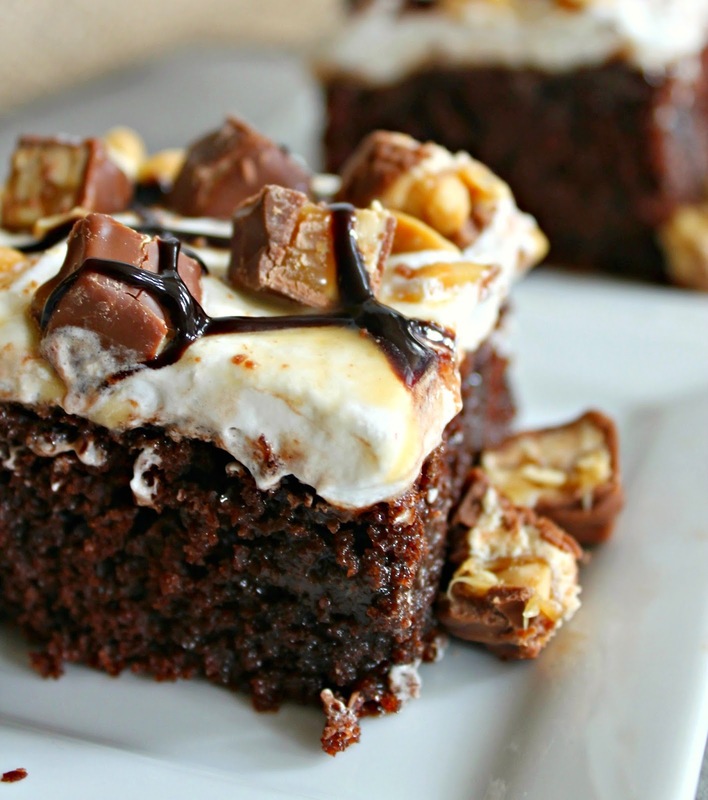 This Snicker's Poke cake tastes so good and is a family favorite! With Hot Fudge and Caramel sauce poured into the middle of it, it doesn't get much better! Prepare and bake your chocolate cake following instructions on the cake mix box. When the cake is done cooking, take it out of the oven and poke the cake all over with the back side of a wooden spoon. Microwave your hot fudge and pour ¾ of the jar on top of the cake so it will soak in while the cake is still hot. Pour 1/4 cup of the caramel sauce over the hot fudge. It is okay if some seeps into the holes. Spread the cool whip over the caramel sauce. Drizzle rest of hot fudge over top of the cool whip. 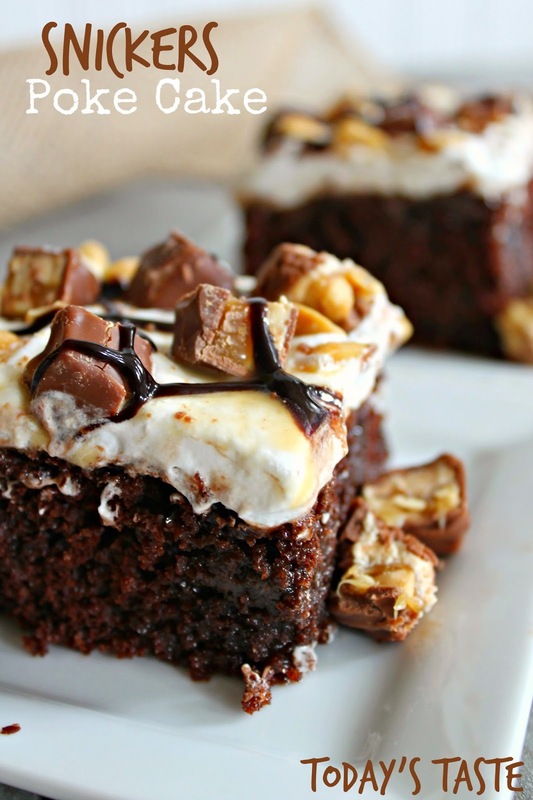 Sprinkle the crumbled snickers and peanuts over the top. Drizzle with 1/4 cup of the caramel sauce and 1/4 cup of the chocolate syrup before serving.